As the weather begins to transition from the cool breezes of spring into the heat and humidity of summer, we’ve come to realize that seasons are as fleeting as Japan’s beloved cherry blossoms. We hold onto the moment as long as we can, but we understand when it’s time to let go. 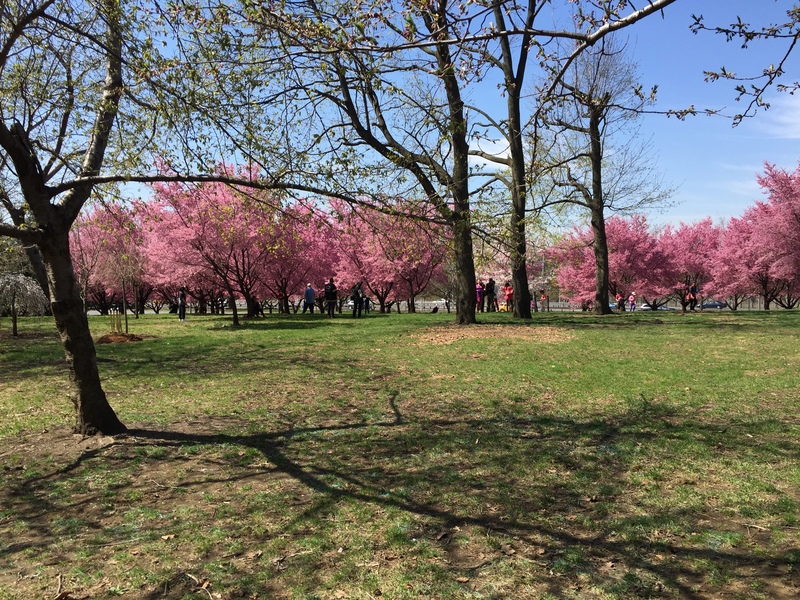 New York’s sakura season is all but over as we near the end of May, so it’s the perfect time to reflect on the splendor of the blossoms in our three-part Cherry Blossom Roundup. 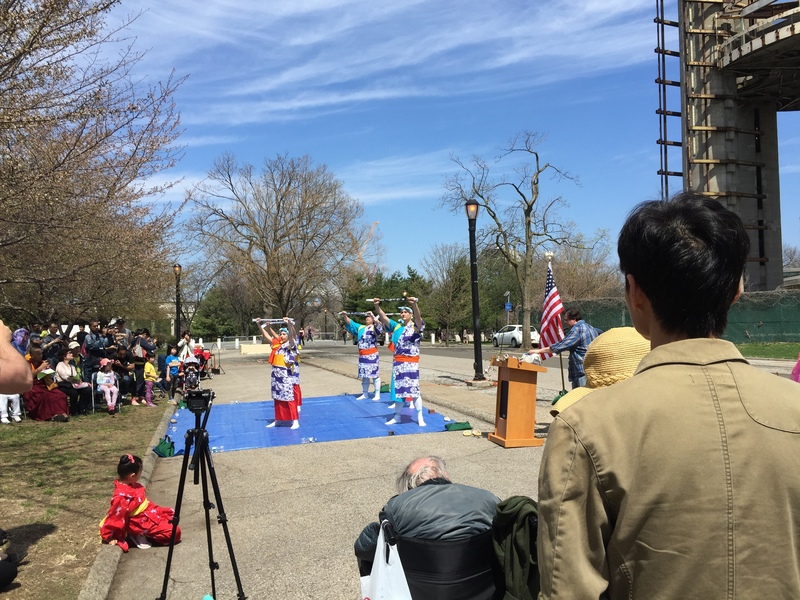 We’ll take a look at three sakura matsuris we were fortunate to attend, starting with the Japanese American Association of New York’s 11th Sakura Matsuri, held on Saturday, April 18 at Flushing Meadows Corona Park. Yours truly served as the Master of Ceremonies (disclosure: I am on the Board of Directors of JAANY and the co-chair of its Sakura Matsuri Committee). 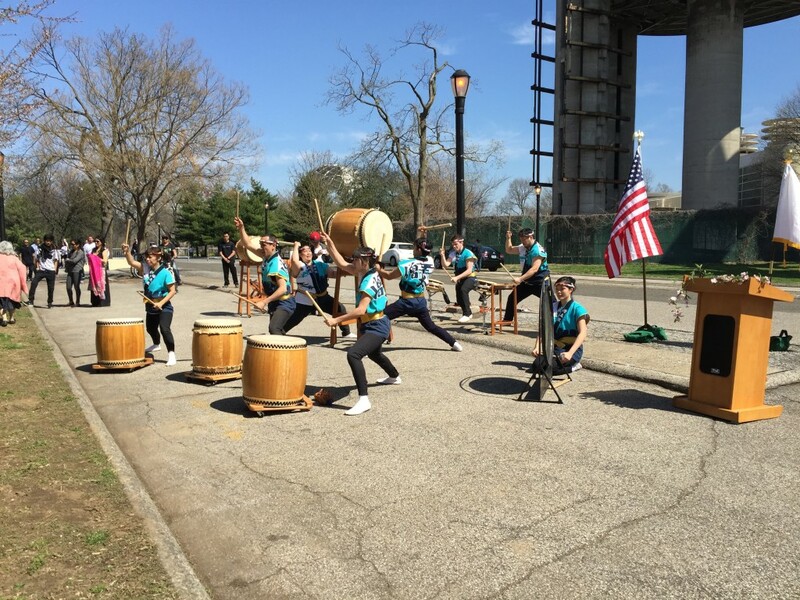 I was delighted to be a part of this festival, which featured wonderful performances by Soh Daiko, New York City’s original taiko drum ensemble; traditional Okinawan dancer, singer, and sanshin player Junko Fisher; the JAA Chorus, conducted by Mari Takagi; and the Japanese Folk Dance Institute, led by Momo Suzuki. 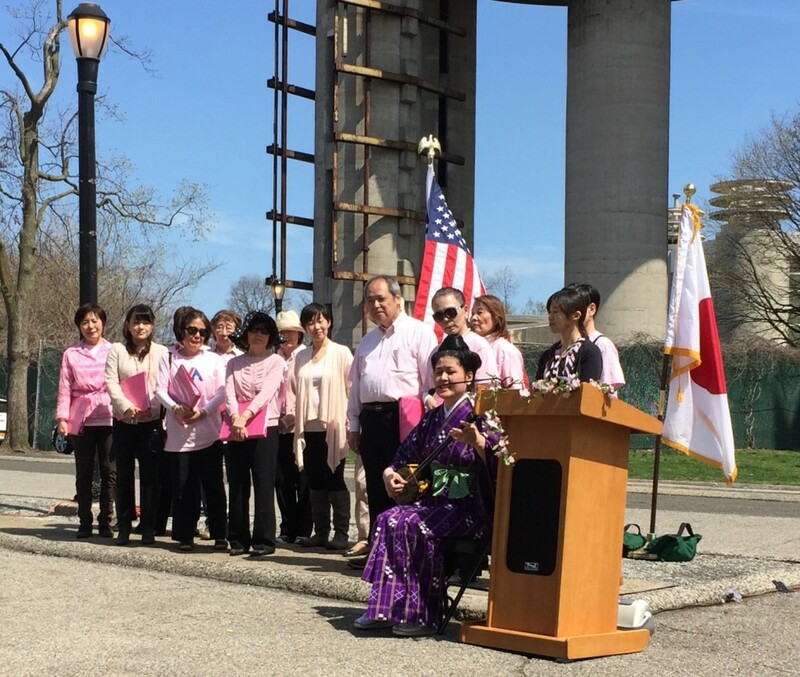 We heard from JAA president Susan Onuma; the Honorable Ambassador Reiichiro Takahashi, Consul General of Japan in New York; and Janice Melnick, Administrator of Flushing Meadows Corona Park. 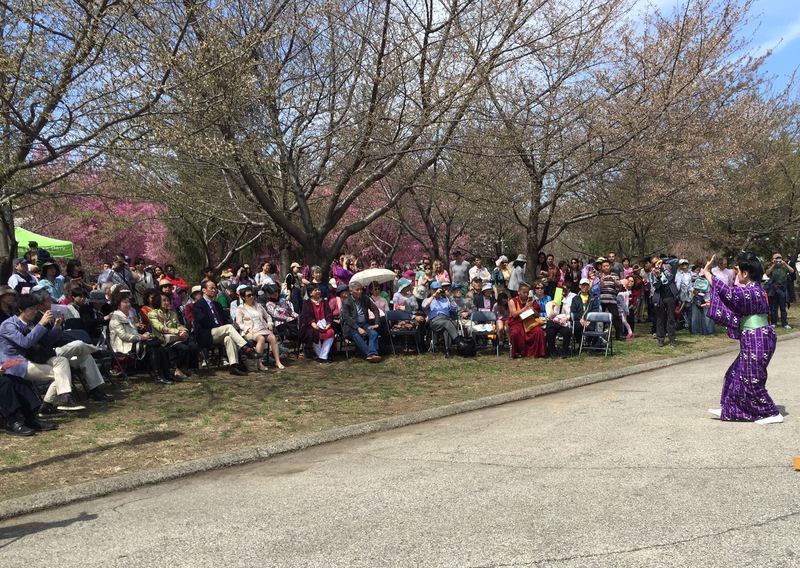 The City of New York Parks and Recreation is a co-sponsor of the event with JAA, and the partnership has been strong and fruitful since the inception of this particular cherry blossom festival. The real stars of the day were the cherry blossoms. A surge of mild weather during the week encouraged the opening of the flowers, bathing the area in pink. White blossoms burst literally before our eyes during the ceremony, which made the Urasenke Tea Ceremony even more elegant. 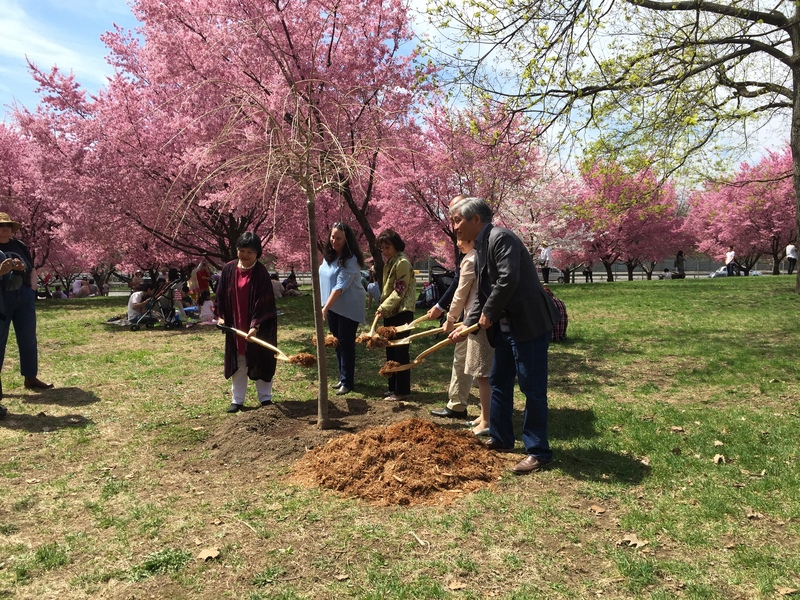 JAA and the City of New York Parks and Recreation conducted a ceremonial cherry tree planting, thanks to the generosity of the Inagaki family. 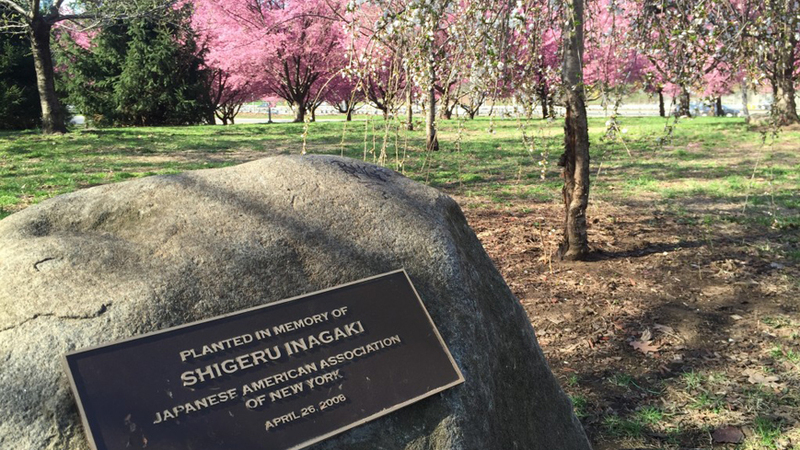 The late Shigeru Inagaki, former president of JAA, helped facilitate the organization’s “21st Century New York Cherry Blossom Project” by presenting cherry tree seeds donated by The Cherry Association of Japan to New York City on Arbor Day, April 24, 1992. JAA member and political activist George Yuzawa (1915-2011) enlisted the services of noted landscape artist Kan Domoto to design a planting scheme at Flushing Meadows Corona Park. 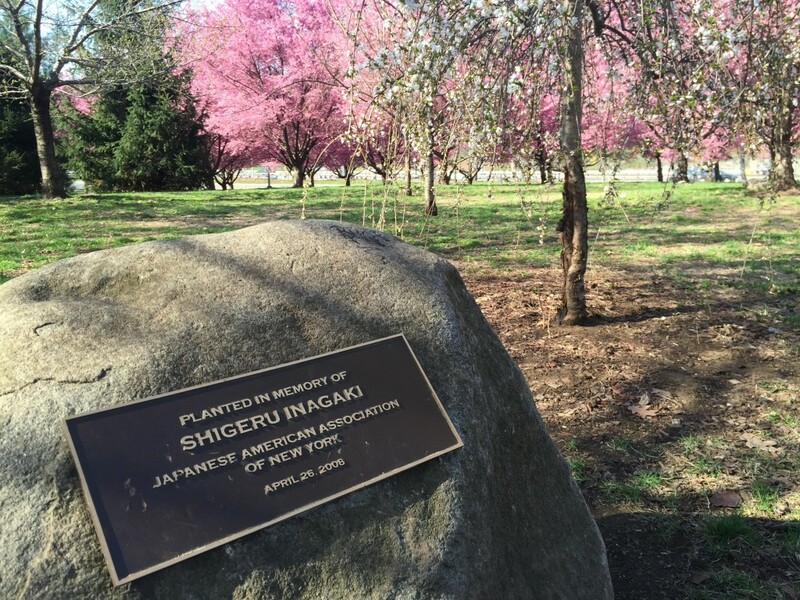 After the cherry tree seeds were nursed by Bobby Zapala in the greenhouses of Van Cortlandt Park, many JAA volunteers planted 168 trees on April 3, 2001. 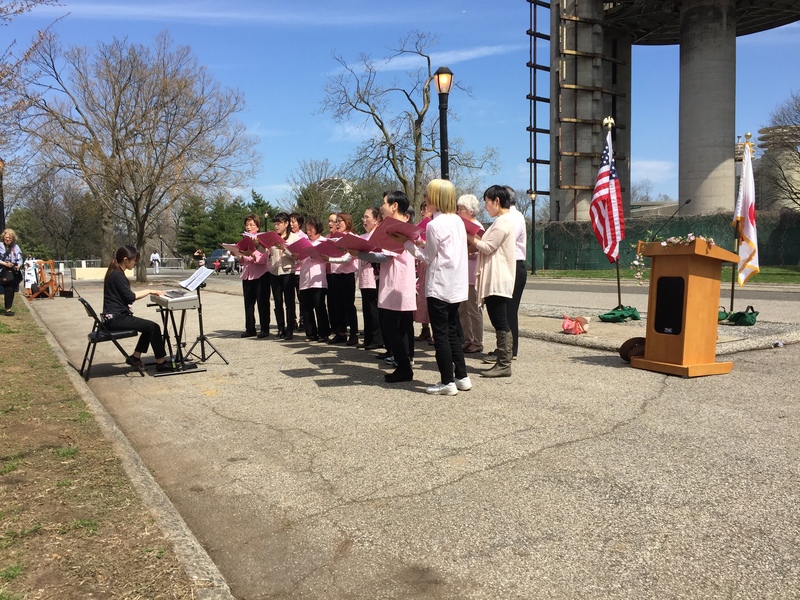 JAA and the Flushing Meadows Corona Park staff celebrated the first Sakura Matsuri on April 12, 2003, and each year JAA plants additional trees on site. 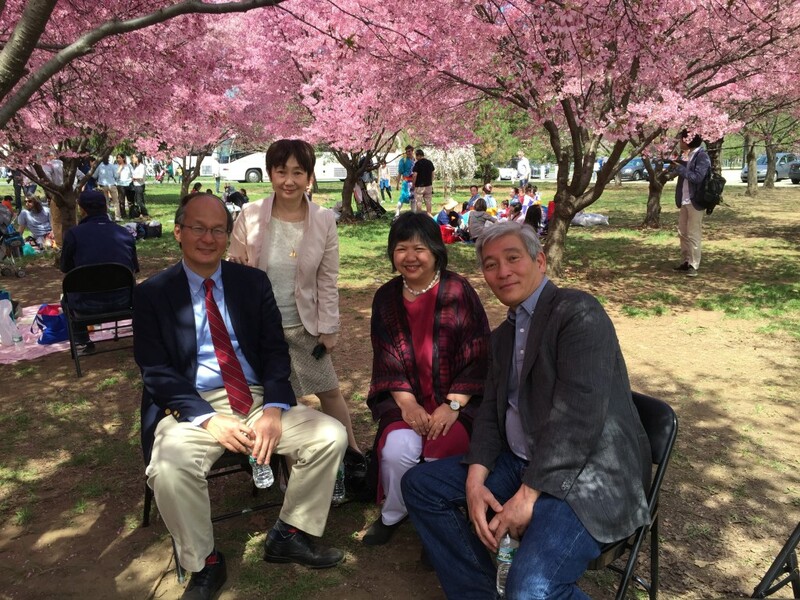 It was a beautiful way to kick of the city’s Sakura Matsuri season, which is broader in scope than one might think. 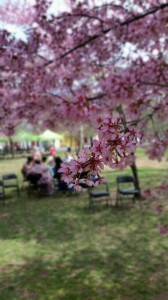 Check out JC•NYC’s guide to cherry blossoms in New York, and stay tuned for Cherry Blossom Roundup – Part II. Next Next post: Akihiro Nikaido Ceramic Exhibition "Wabi and Now"